Gatwick airport in London welcomes millions of tourists every year to the UK. Very close to the airport is an amazing Hindu Temple which has just installed a murti of Lord Mahavir, a visionary Jain leader and prophet. 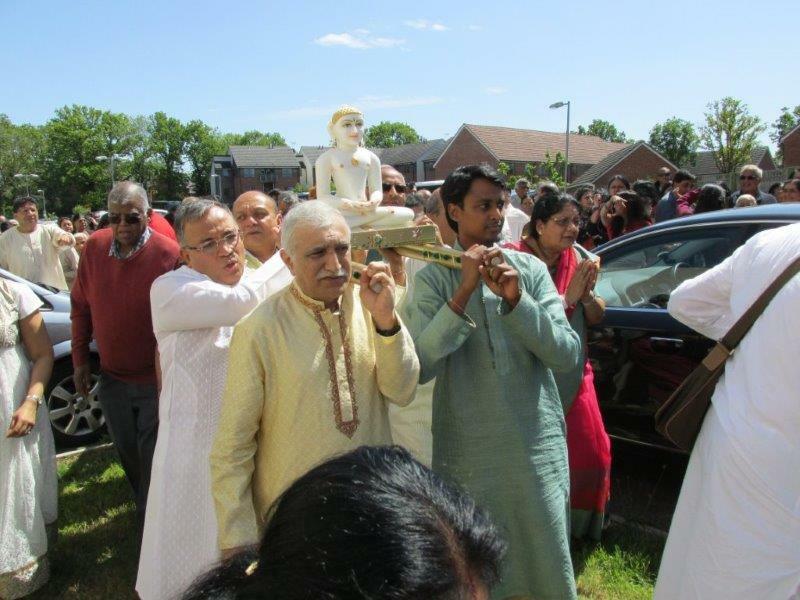 A ceremony to welcome this most dynamic ambassador of peace and compassion towards all living beings was held on Saturday 16th May 2015 at the Apple Tree Centre of the Gurjar Hindu Union in Crawley. I had the good fortune to be a witness to the occasion, and spoke personally with many of the visitors who came in coaches from all over London. 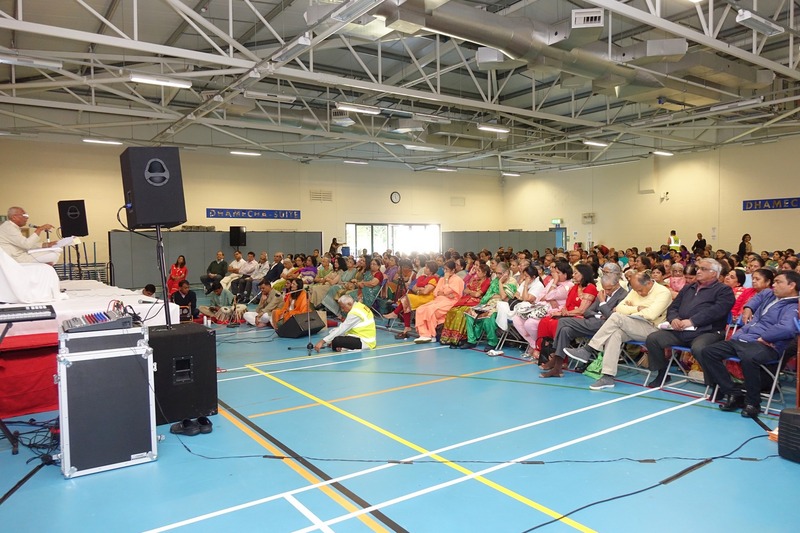 Whilst Britain is actively debating the contribution of immigrants, and the ability to shelter more asylum seekers, the welcome that we got from the local hosts demonstrated the vast culture that Jain and Hindu immigrants have brought to the UK. Fresh food cooked and served by temple volunteers was provided to everyone, the elderly and the disabled were really well looked after, and there was a positive spirit of harmony and community everywhere. When Marion, founder of the Friend Animal Sanctuary in Tonbridge Wells shared her story of animal compassion, she explained how welcome everyone had made them feel, even though they were strangers to the community. Mr. Nitin Mehta MBE presented her with a Mahavir Award for her genuine and selfless care for animals and remarked that there are 5 million vegetarians in Britain who practice a deep respect for animals. The symbolism of this day was recognised by the Chief Guest and visiting Scholar Mr. Nalinbhai Kothari, affectionately known as Bhaishree from Sayla in Gujarat, India. He too was touched to witness that the spirit of Mahavir was so alive and being lived by the hosts and the visitors in this modern city, so far from India. The Jain Dharma, is one of India’s oldest living cultures of compassion and reverence for all living beings, and an inspiration to many leaders all over the world even today. Mahatma Gandhi developed his Non-Violent philosophy with the guidance of Shrimad Rajchandra, a visionary Jain entrepreneur. 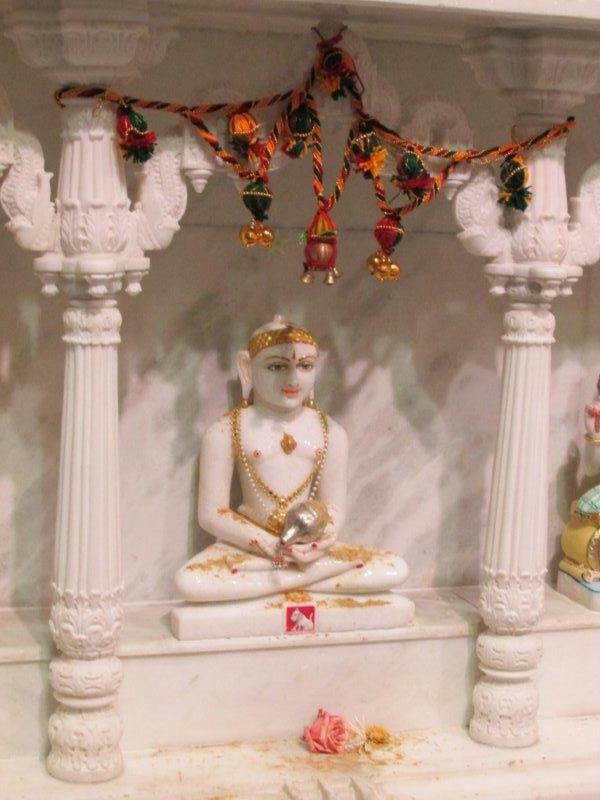 The installation of the murti of a Tirthankara is a historic event, requiring a lot of prayers, bhakti and spiritual devotion to ensure that the image brings with it the virtues of Mahavir and continues to inspire visitors who will come for years into the future. 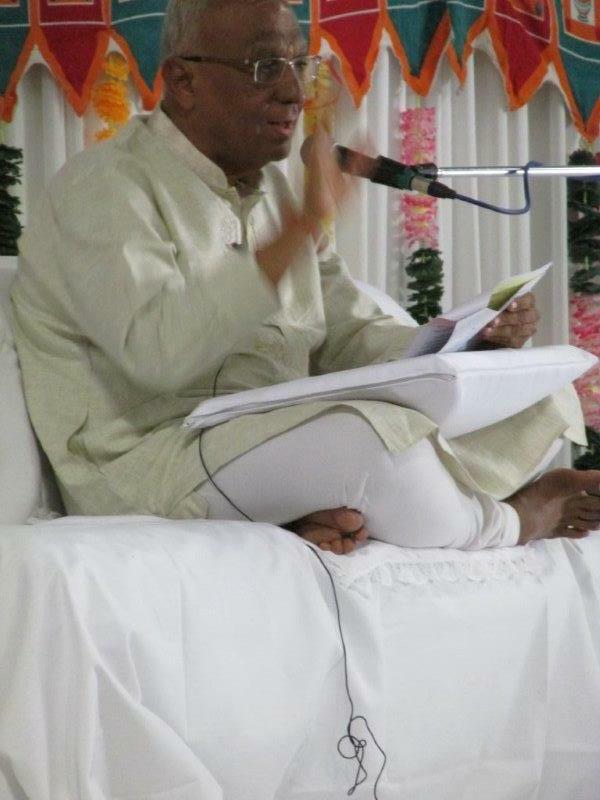 Despite being a small community in Britain, numbering around 35000, the Jains have made their mark on wider society through their living values, self-discipline, hard work and respect for people from all faiths and beliefs. They are outstanding colleagues at work in various professions, often leading their departments and organisations, and practicing collegiality and humility. They are also very good neighbours and members of the communities wherever they live, often actively supporting local residents and sharing their food and their festivals with them. They are writers, artists, film-makers, doctors, dentists, pharmacists, opticians – a truly wide variety of people from all walks of life. All of them have a strong instinct for integration, and are often quiet about their faith and values. Ambassador for the temple and a founding visionary Mr. Ashwin Soni, explained that he was delighted that his dream of having Mahavir installed was at last realised. An engineer by profession, he has utilised his vast experience and skills to bring the community together and at the same time ensure proper systems and processes are followed so that there is a structure and visitors get a warm welcome. 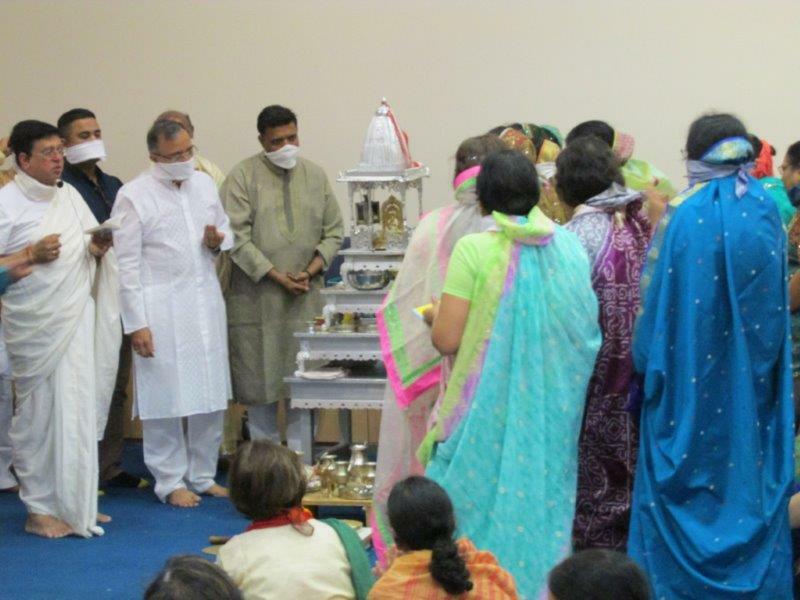 Faith, health and harmony are deeply connected in the Dharmic traditions of India, and the whole celebration was a witness to this spirit.